I'm working on a really exciting project right now but I can't show it or tell much about it so here's just a hint. 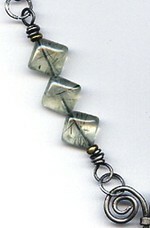 I love the pale green tourmalinated quartz beads. For those of us who aren't really clued into rockology, myself included, tourmalinated is just a fancy way of saying "this stone has really cool inclusions". Wish I could show more but at least this proves I'm doing something in my studio! red noun, adjective, red·der, red·dest. 1. any of various colors resembling the color of blood; the primary color at one extreme end of the visible spectrum, an effect of light with a wavelength between 610 and 780 nm. I don't know anybody who wears a kilt (thank goodness!) but I recently signed up for a kilt pin swap. The due date isn't for a while but I was goofing around making charms yesterday so went ahead and did the pin while I was at it. I'm not sure where this style kilt pin came from since, when I did an internet search for kilt pins, I found that most of them look like miniature swords. 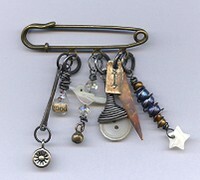 For a little history and some beautiful kilt pins (the real thing!) click here. 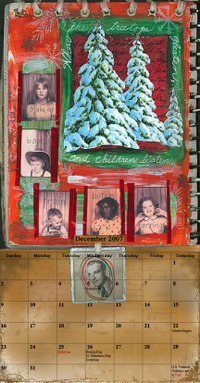 I finally finished my pages in my friend Deb Trotter's altered calendar. I've been participating in this altered calendar round robin for a little over a year now. Life happened and our group got a bit behind but I'm hoping to finish up the last calendar, and maybe have mine back, by the end of Feb.
Deb's calendar theme is "Music of the 30's, 40's and 50's" and the song for my month is "Count Your Blessings" by Bing Crosby from the movie "White Christmas". 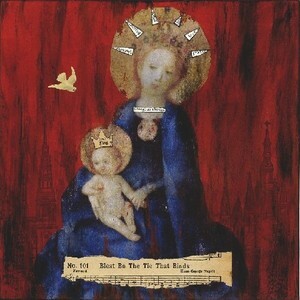 Deb knows me pretty well and picked the perfect song for me to translate into collage. I watched the movie for the first time this last Christmas and it instantly became a Christmas classic for me. The songs are classics in themselves but, I discovered a hidden gem in this movie...Vera Ellen. She is one of the most incredibly talented dancers to grace a musical. Take a close look at her in the movie. She was known as having the smallest waist in Hollywood...an astonishingly tiny 22 inches! My page "Count" doesn't have a lot to do with Vera Ellen but I did include a sheep so I guess it could be loosely associated with the theme (count your blessings instead of sheep)! For the other pages, I used a great background stamp (background plate 5) from Paper Artsy. "Blessed Thot" was done with a cemetery photo of mine from Glenwood Cemetery here in Houston. 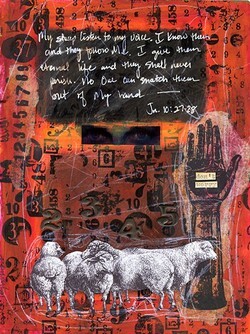 The other page includes one of my favorite scriptures, John 10:27-28. These pages were all done on Mark Rothko backgrounds which were original to the calendar. Aren't they beautiful? They came in clear plastic boxes printed in white with Boontje's designs. 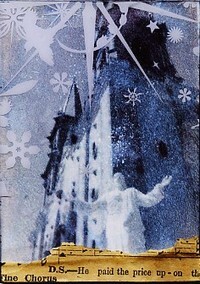 In fact, the boxes were too pretty to throw away so I made good use of part of one as an overlay for the atc above. I did a transfer of a photo I took in Mazatlan, Mexico and the design on the overlay coordinated perfectly. 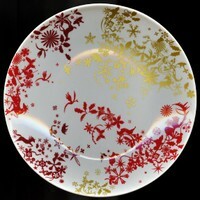 I bought dessert plates for 20 (who could resist them on sale?) so I've got plenty of overlay material! 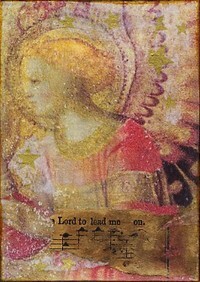 The text I stamped on this atc is from a Paper Artsy stamp from their "Kids" series of plates. This is a great stamp and I can already tell it will be one of my favorites. If you look closely, you can see that I also used a mesh texture stamp from this plate. 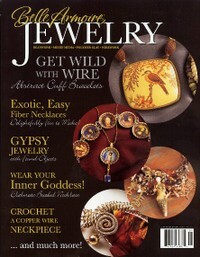 Stampington is coming out with a new publication Belle Armoire Jewelry 2 that will be available March 1, 2007. They're offering a special, pre-order price of $10.95 plus s&h. Click here for a sneak peek. The project at the bottom of the page is mine! Need a calendar for the new year? You can download this terrific art calendar on the art-e-zine site. My friend Sally Turlington began her new year by having her beautiful artwork featured in a 2007 calendar by Gillian Allen of art-e-zine. Make sure you take a look at the rest of the site. It's loaded with artists and inspiration with tons of how-to's and artwork. Settle back with a cup of coffee...it may take awhile! 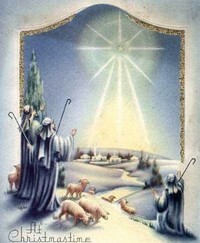 Wishing you a year of Christ's illumination, revelation and blessing! 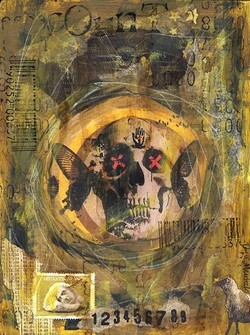 Check out Randel Plowman's Collage A Day blog. I'm the proud owner of a few of his pieces and Randel has a great eye for composition and a subtle sense of humor that I love. 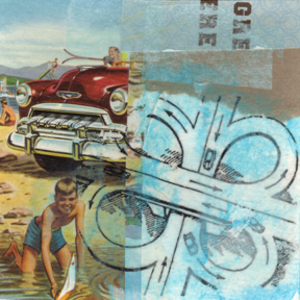 A Collage a Day is an ongoing project for Randel. 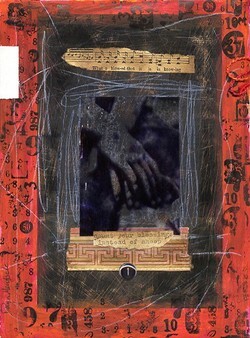 He creates and posts a new 4" x 4" collage to his site every day. I was a bit hesitant, at first, to purchase artwork from someone totally unknown to me and over the internet to boot. 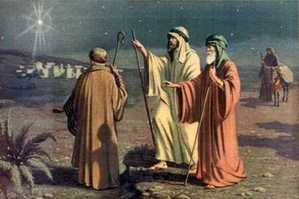 But, when I recieved the first piece, I was overjoyed with the quality of the work. 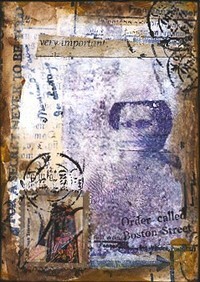 The collages are layered with texture and beautiful...ready for framing. And, he's doing this every day! Randel has a real talent for making it look easy! jewelry maker. instructor. author. photo taker. treasure hunter. mother of boys. hammer wielding oregonian, wyomingite, texan. cowboy boot wearin', gun shootin' skirt twirler. welcome to my world! All works of art, jewelry and photographs within this website are protected under U.S. copyright laws and international conventions. No portion of the artists' works or statements may be duplicated, downloaded, reproduced or altered in any way without prior permission. Classes and class material, online or otherwise, my not be reproduced or taught in any venue, in whole or in part.